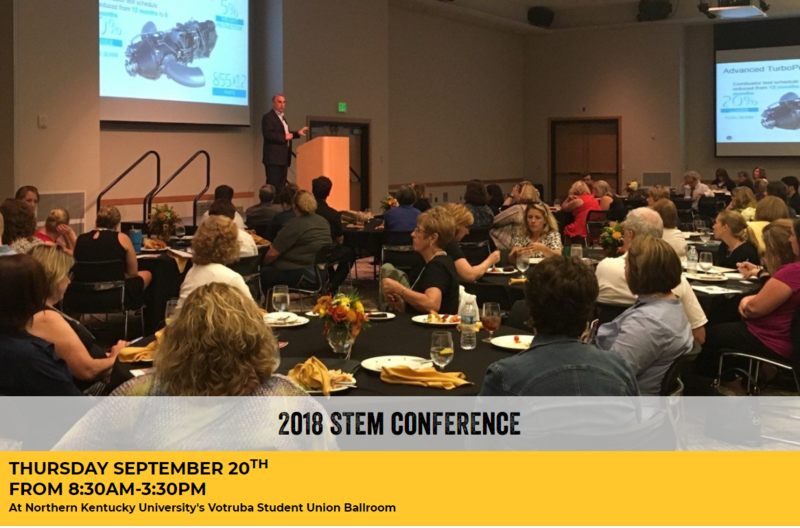 The STEM Conference is a collaboration between NKU’s CINSAM and the University of Cincinnati’s Engineering Enhanced Math and Science Program, together they aim to supply educators with high quality and applicable tools to improve STEM education in our region. Our theme this year is “Core Elements of STEM Instruction” renews our commitment to providing a quality conference program that highlights pedagogies, models, and resources that support STEM Education for our k-12 teacher attendees. In 2017, over 400 attendees, mainly k – 12 teachers & school administration from our region learned best practices, cutting edge teaching techniques and the latest in educational technology and tools! Don’t miss this opportunity to share these resources with your students and peers! - Interactive Workshop Sessions with Follow-up Sessions. Please park in the Kenton Drive Parking garage and proceed across the street to the student union. Upon entering the garage, pull a ticket from the parking machines, you will receive a validation ticket at registration. Directions if traveling from US 27: From US 27 turn into the Main Entrance of Northern Kentucky University. Get in the right lane and veer to the RIGHT at the bottom of the hill. Avoid the roundabout circle completely. Turn LEFT at the stoplight on to Kenton Drive. Go straight until you see the Kenton Drive Parking Garage on your right. The Student Union is directly across from the Kenton Drive Parking Garage. Directions if traveling from 275: Take the Three Mile Road exit and turn right off the exit. Turn RIGHT at the stop light on to Kenton Drive. Go straight until you see the Kenton Drive Parking Garage on your right. The Student Union is directly across from the Kenton Drive Parking Garage.